Andy Simpson posted on Twitter and in the Local Search Forums a screen shot of Google showing a products and services section in the local panel result for a business. 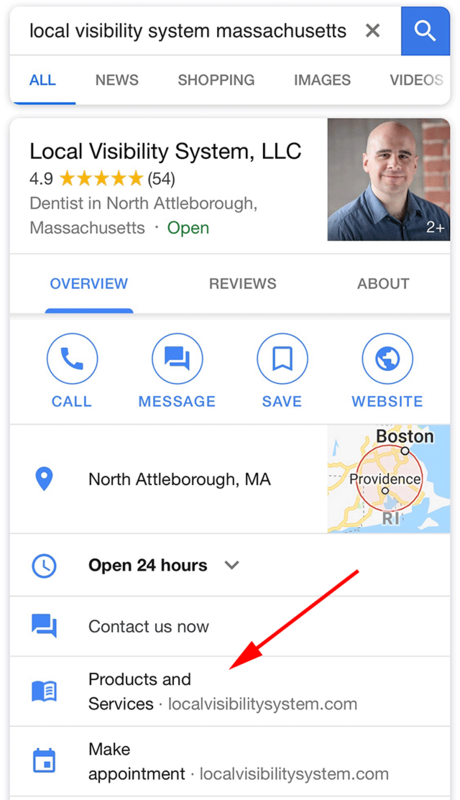 In Google My Business you have the option to fill in your products and services but it has not shown directly in the local panel in web search before now. Andy, who is a local search expert, said this is new to him - he has never seen this before show up in the local panel. He said when you click on it, it goes to your products/services page on your web site. Do you see it for your business? Forum discussion at Twitter and Local Search Forums.